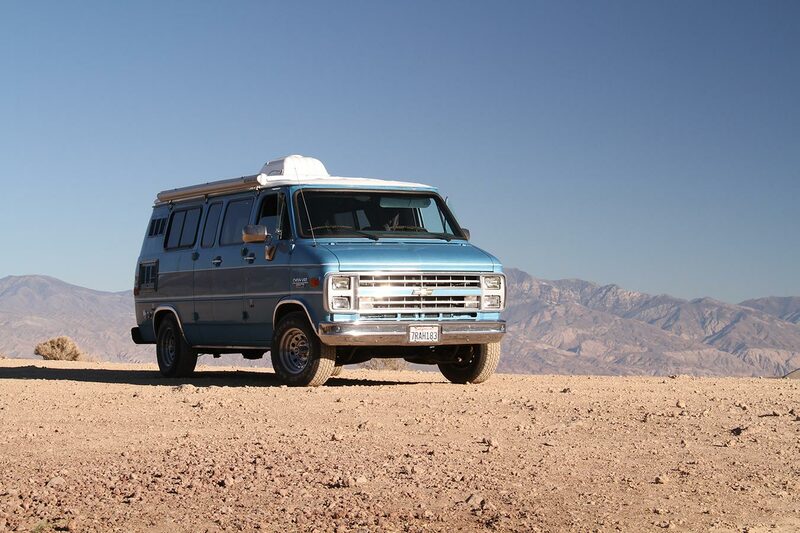 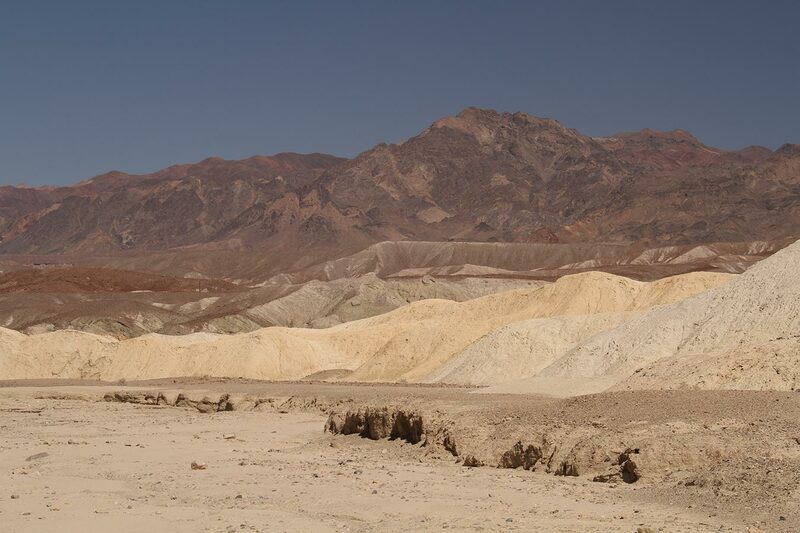 In Death Valley - Where is frenchie? 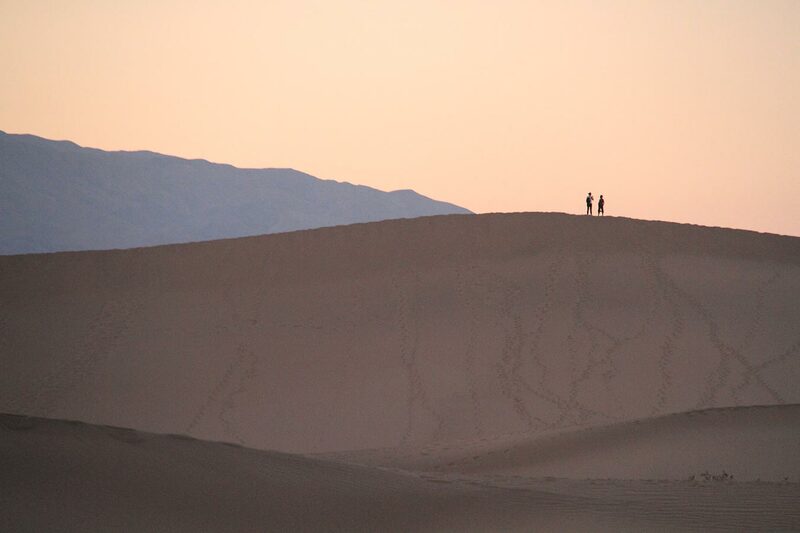 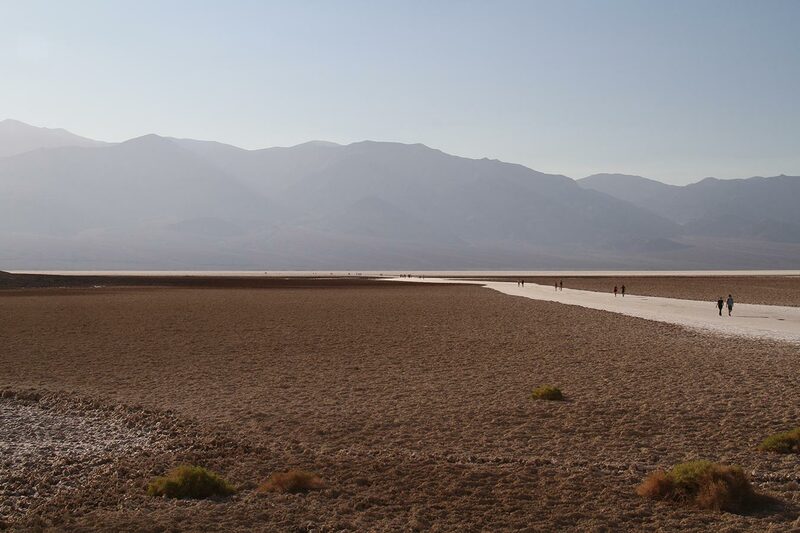 Going to Death Valley is like going to another planet. 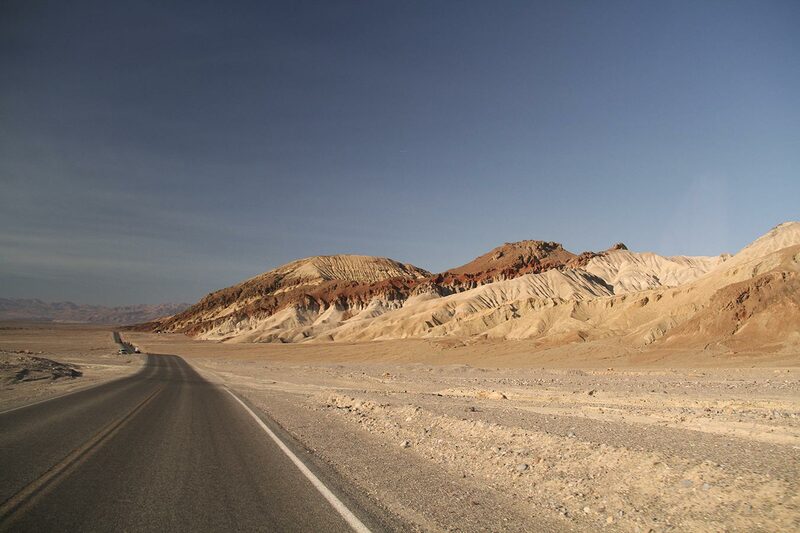 I thought after traveling Utah that I wouldn’t be surprised by that kind of unique landscapes anymore, but the valley is unbelievable and big. 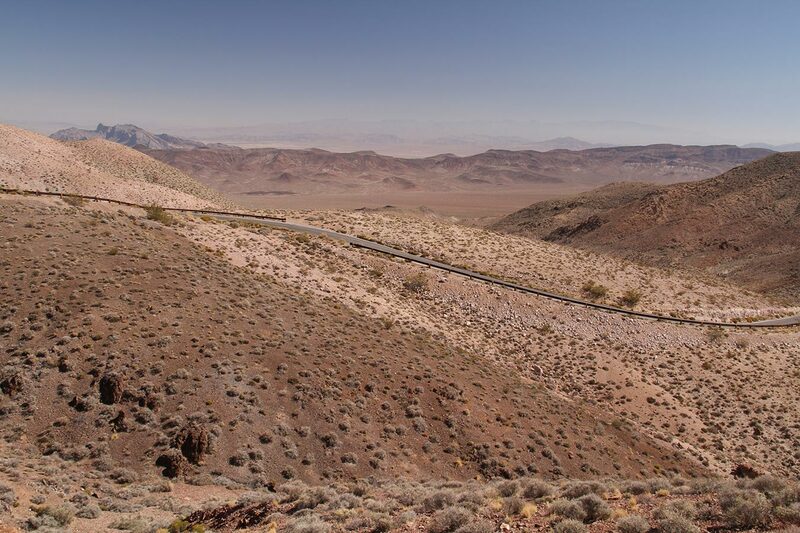 It’s the biggest national park in the US so we do a lot of driving, and everytime we get out of the valley it’s a massive climb and Sully gets really hot. 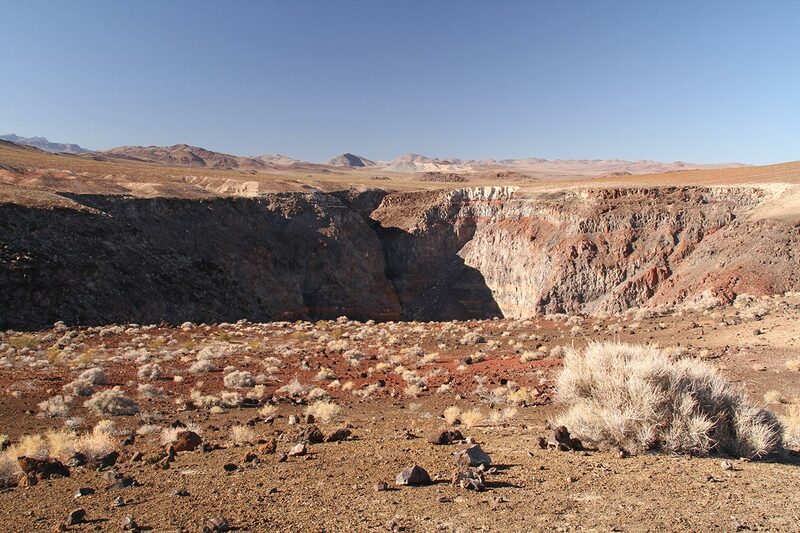 The lowest point in the park and in the whole continent is 86 meters below sea level. 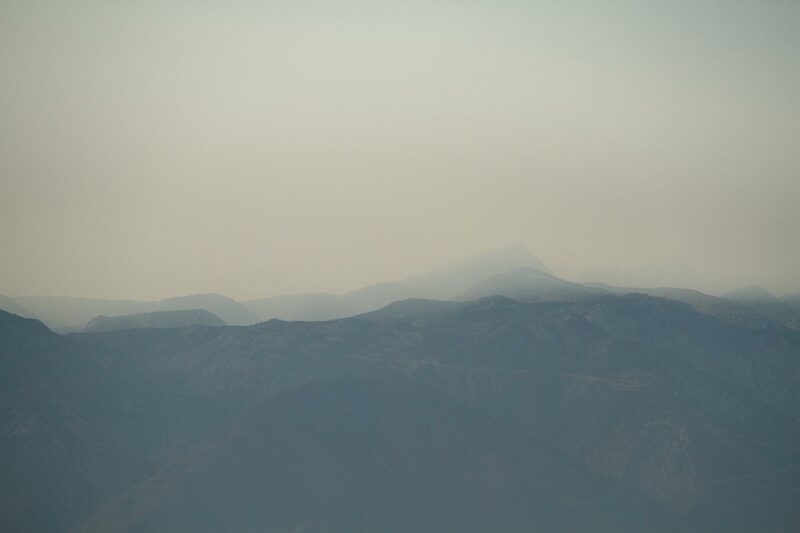 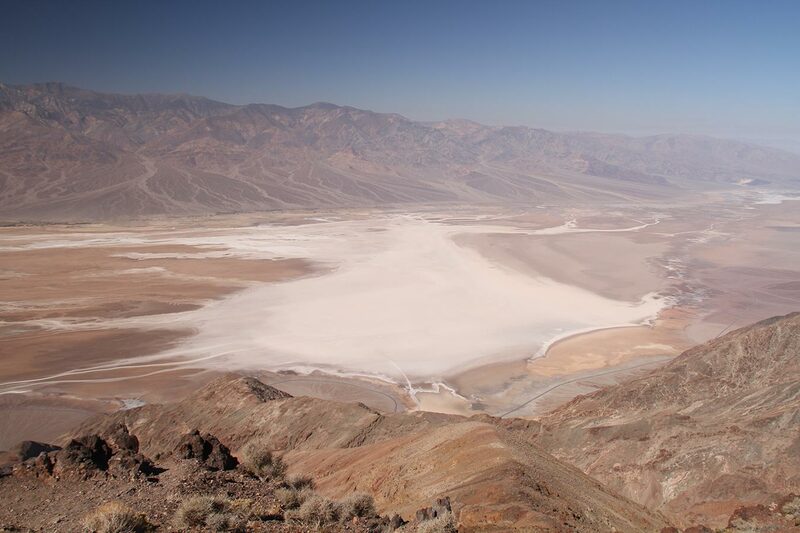 The valley is isolated, oceanic clouds get stuck on the Sierra Nevada range, thus rainfalls average 5 cm per year. 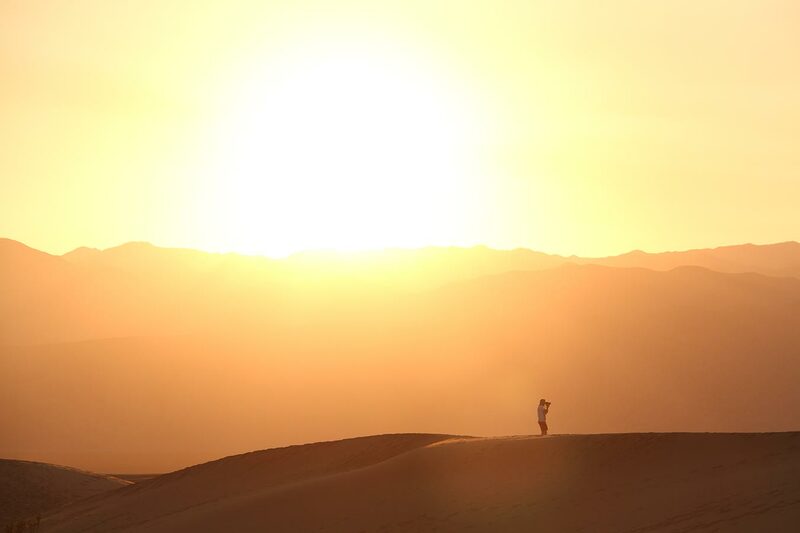 Temperatures in summer average 50°, when we visit it’s between 30 and 38°. 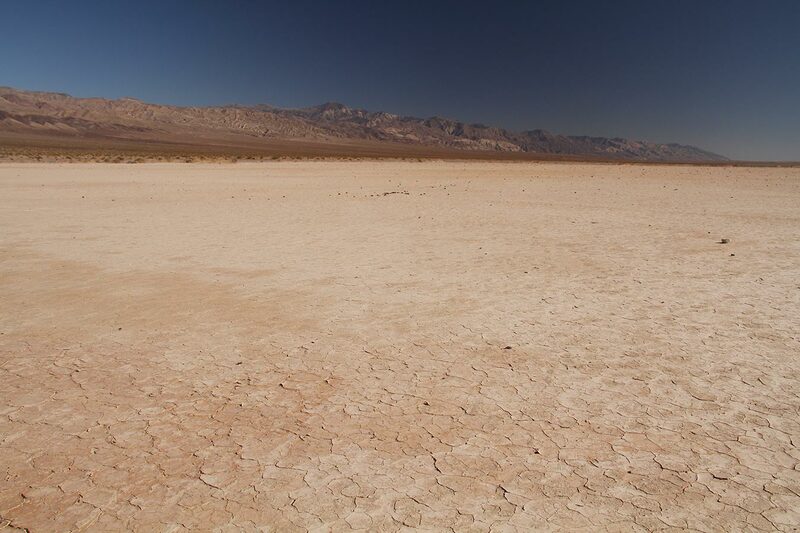 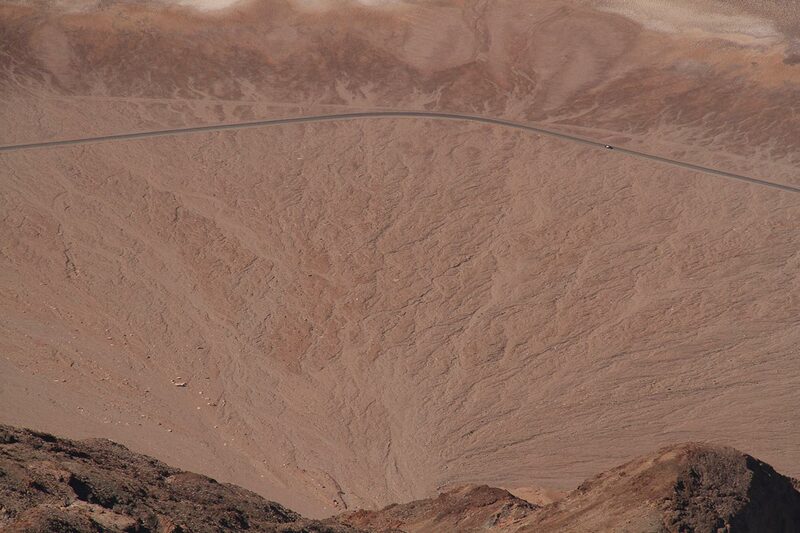 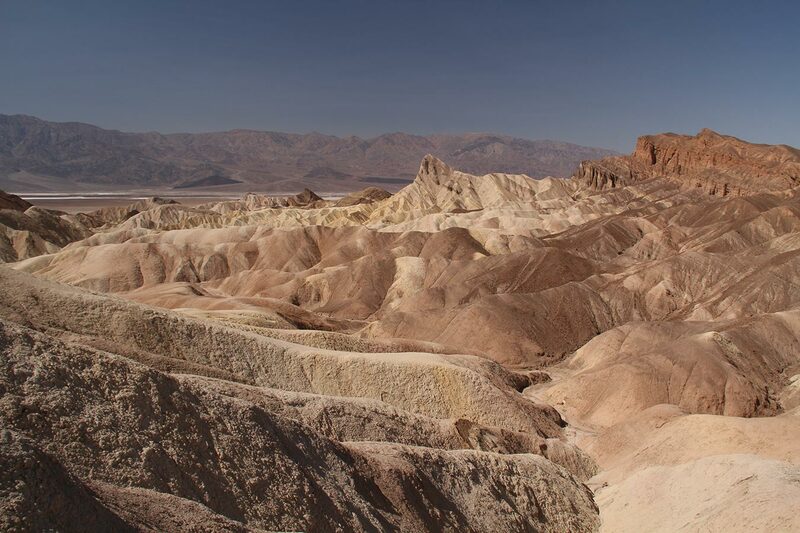 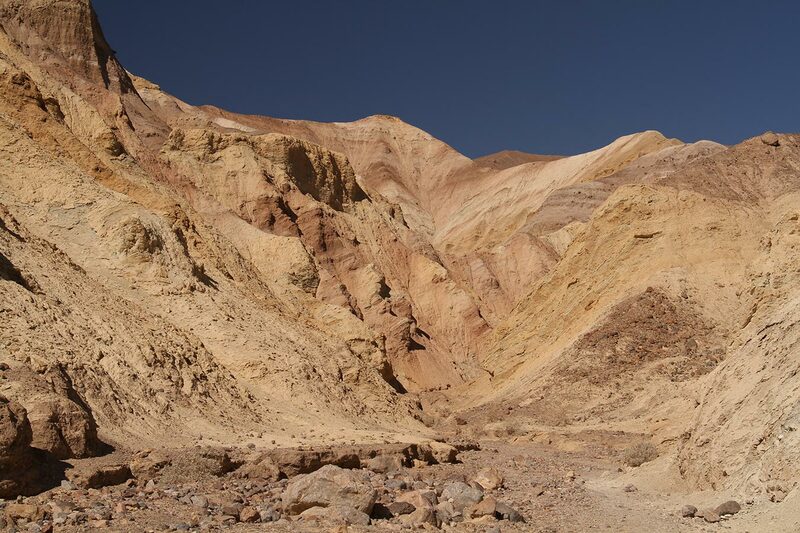 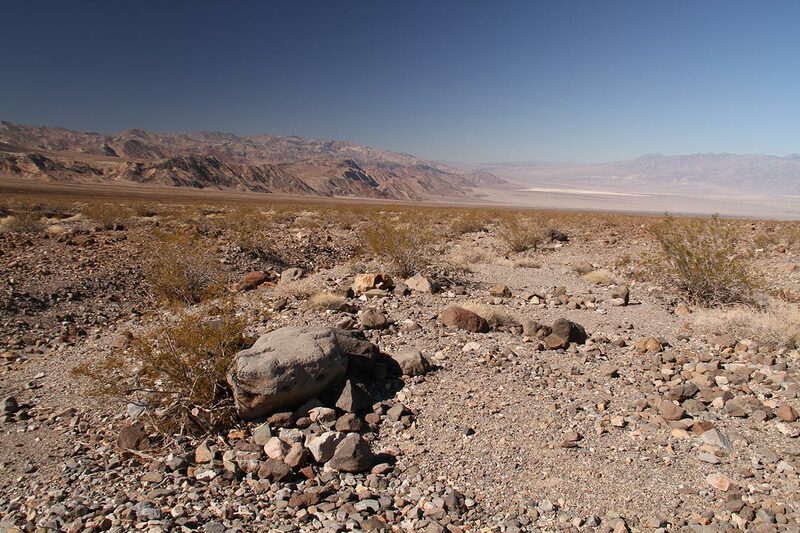 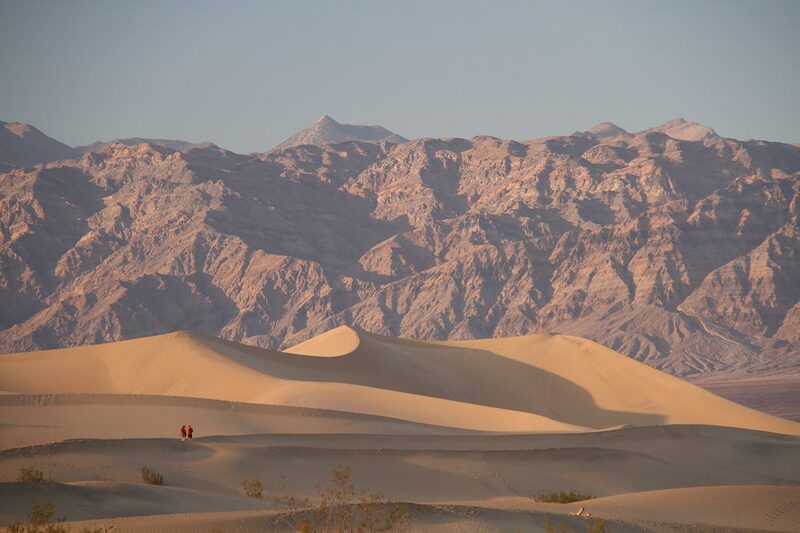 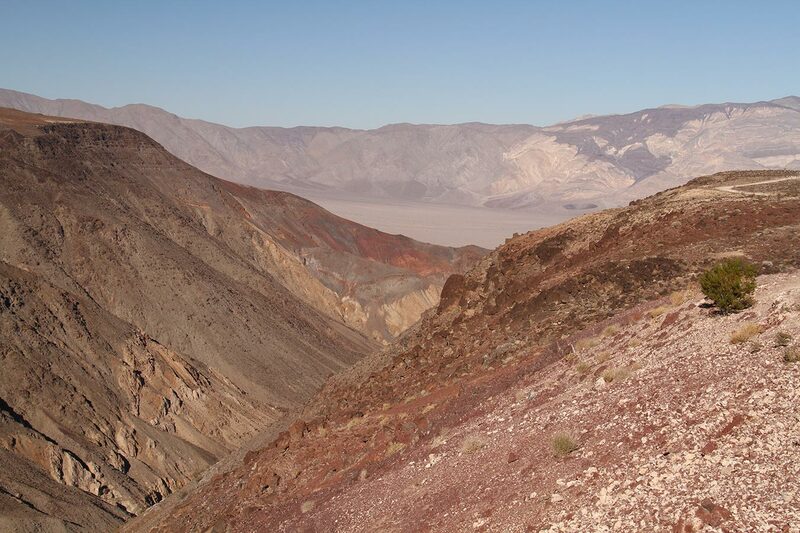 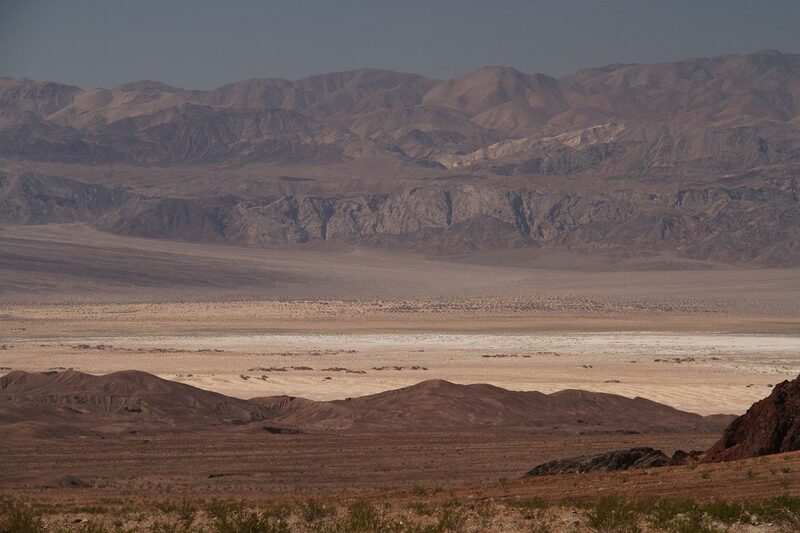 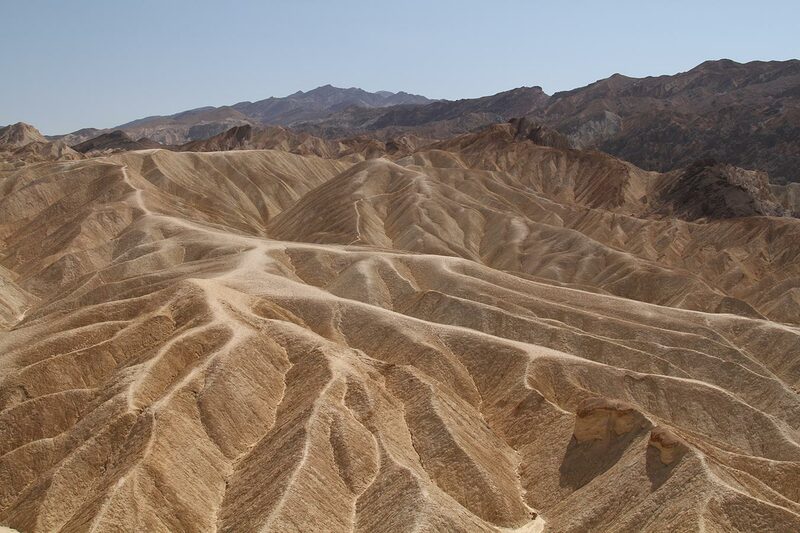 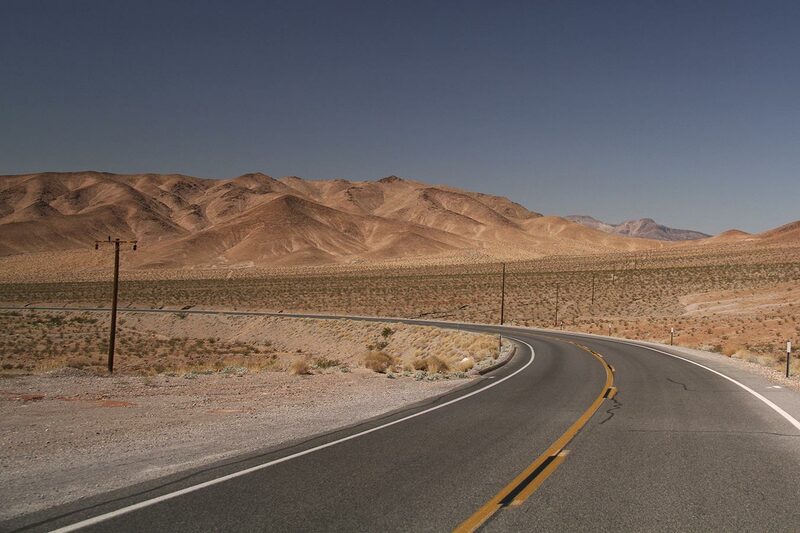 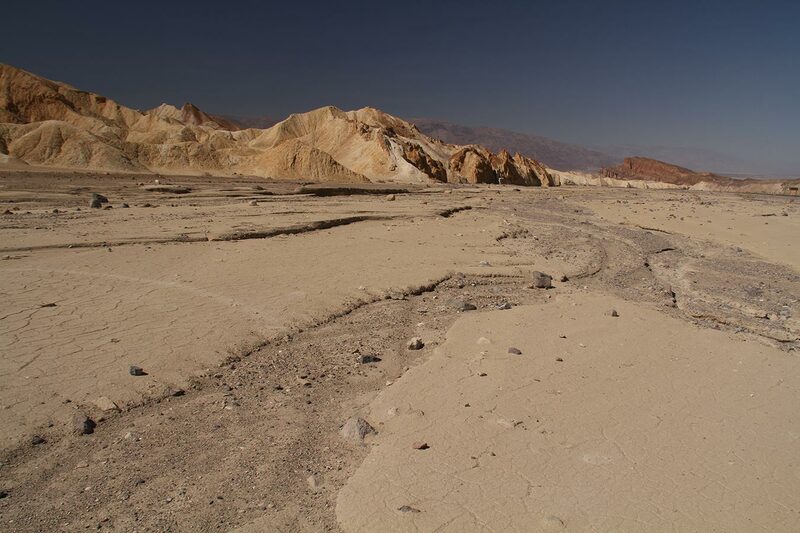 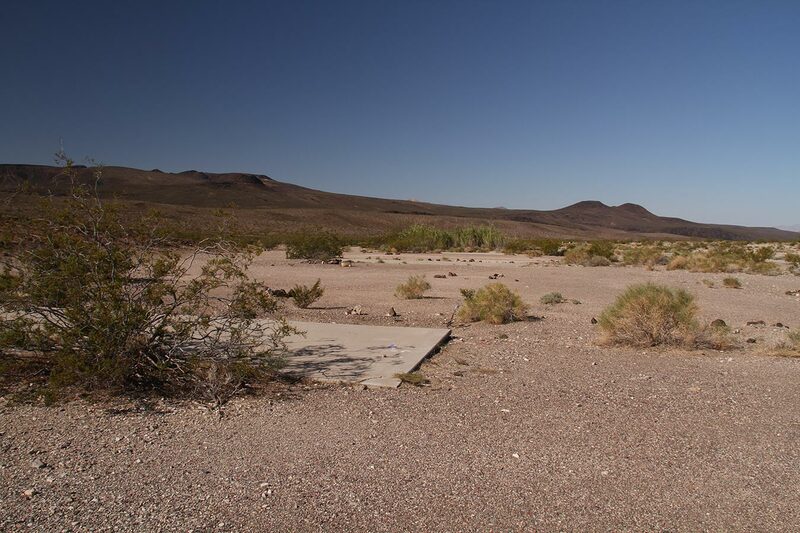 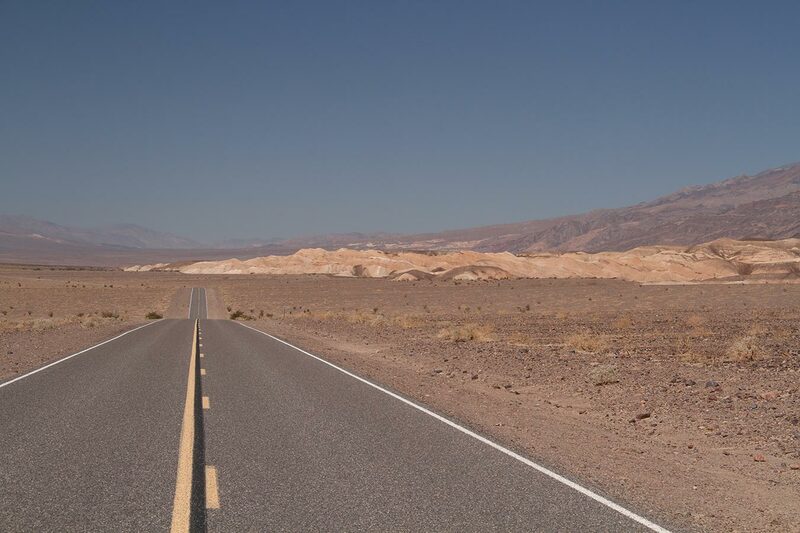 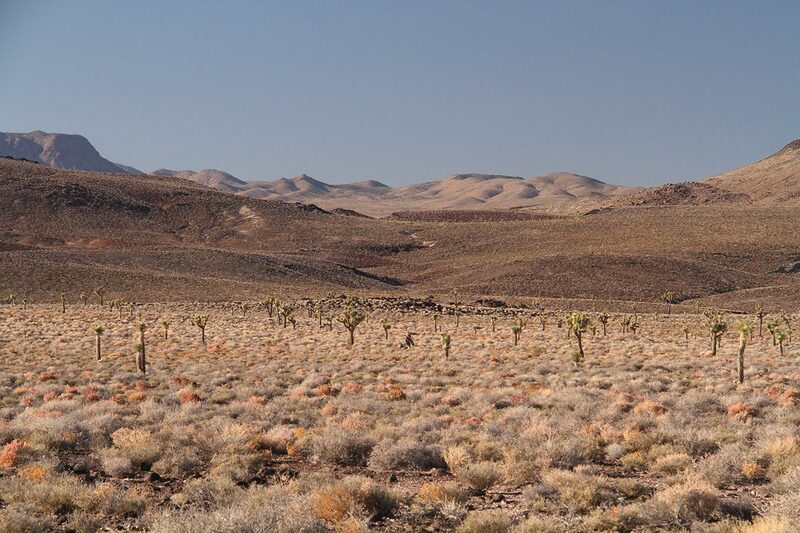 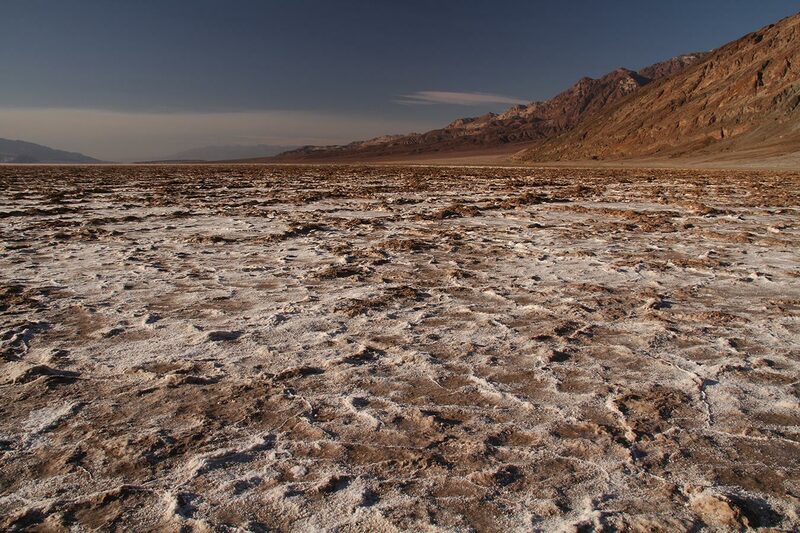 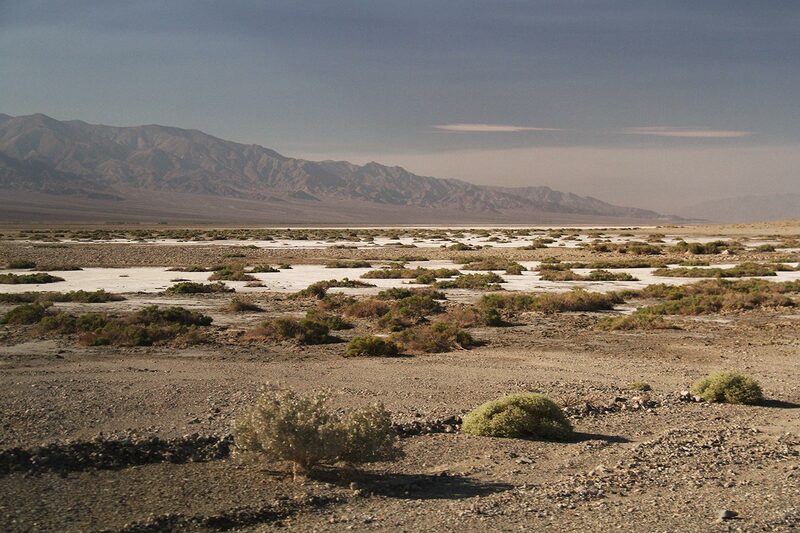 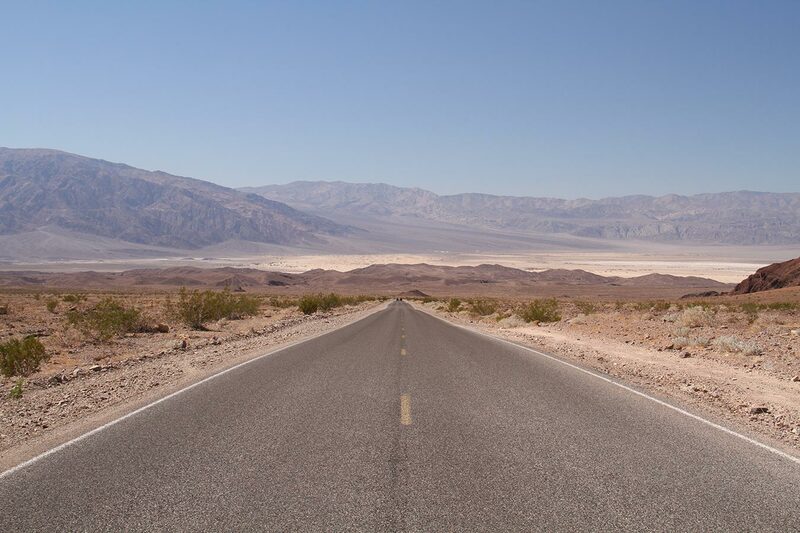 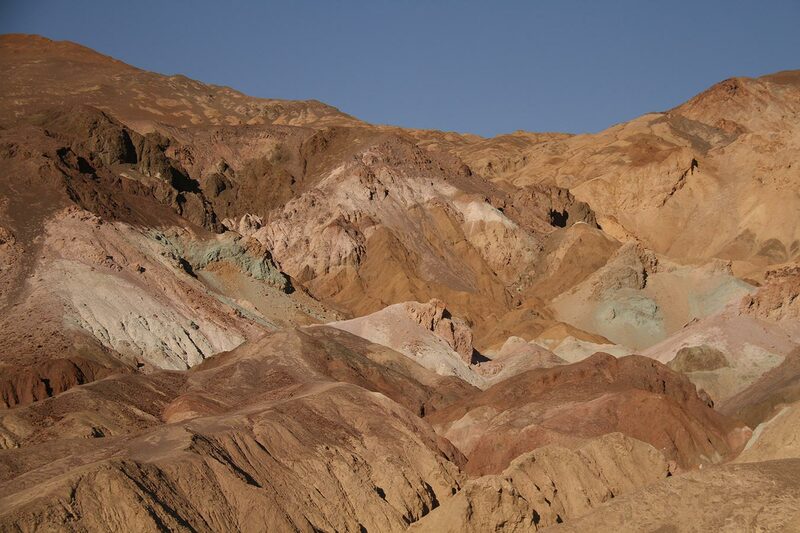 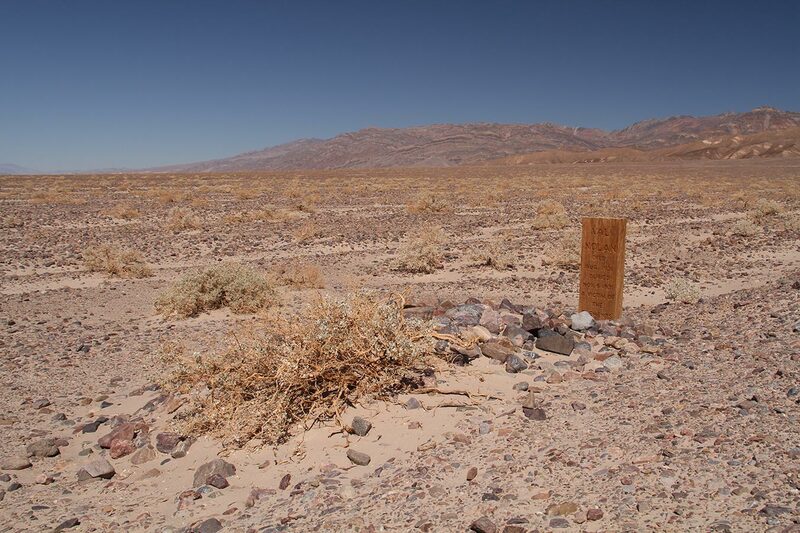 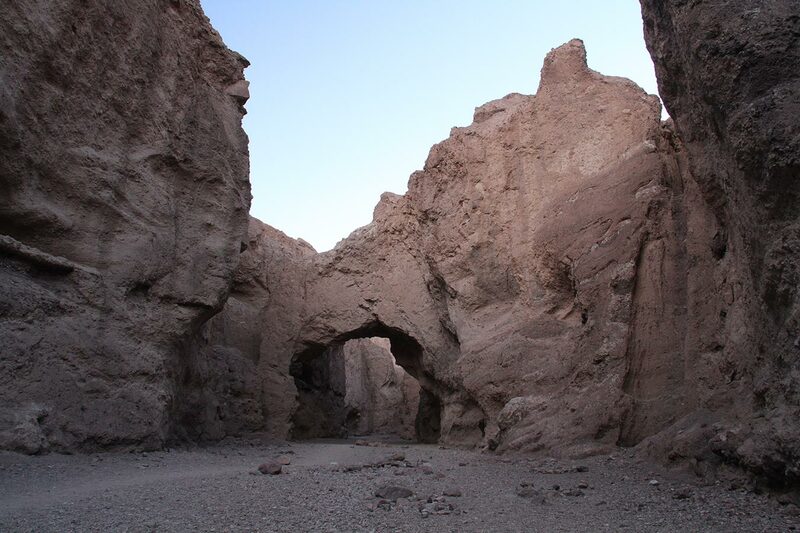 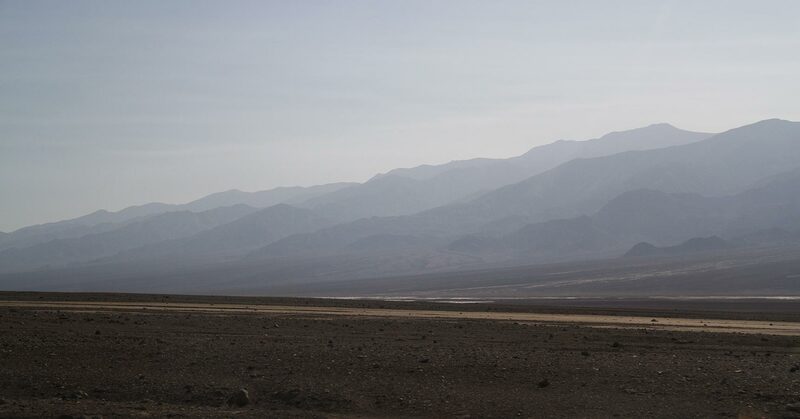 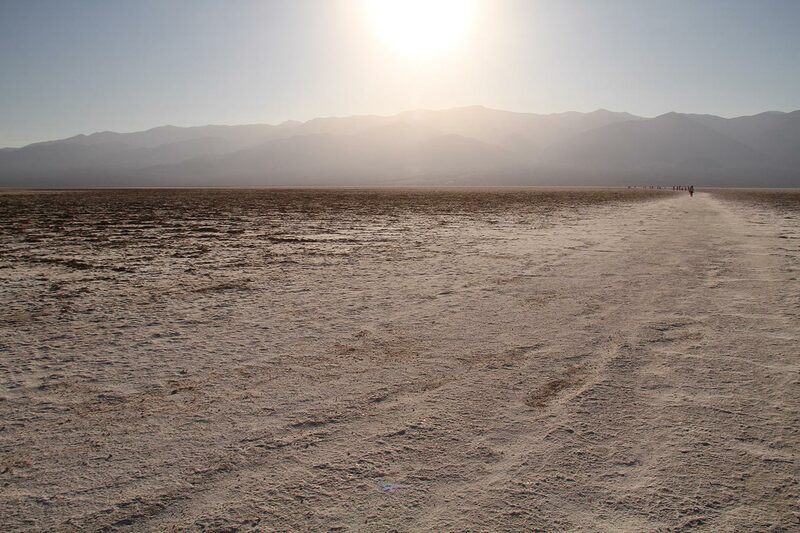 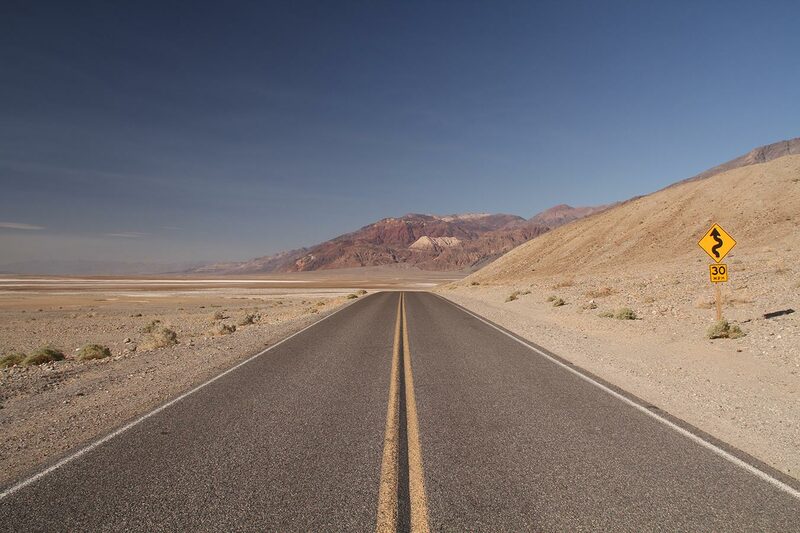 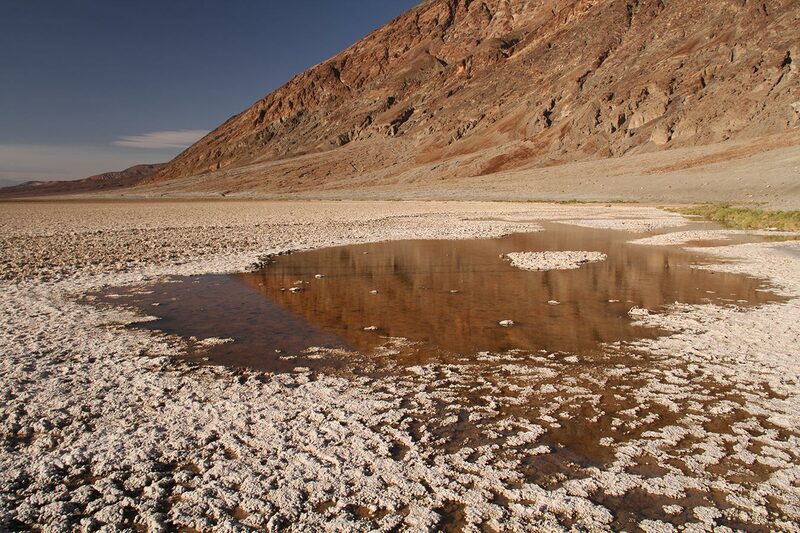 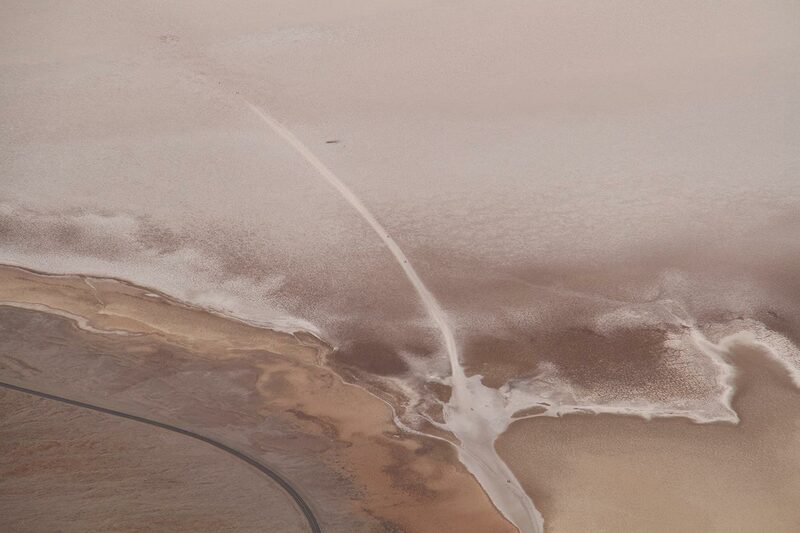 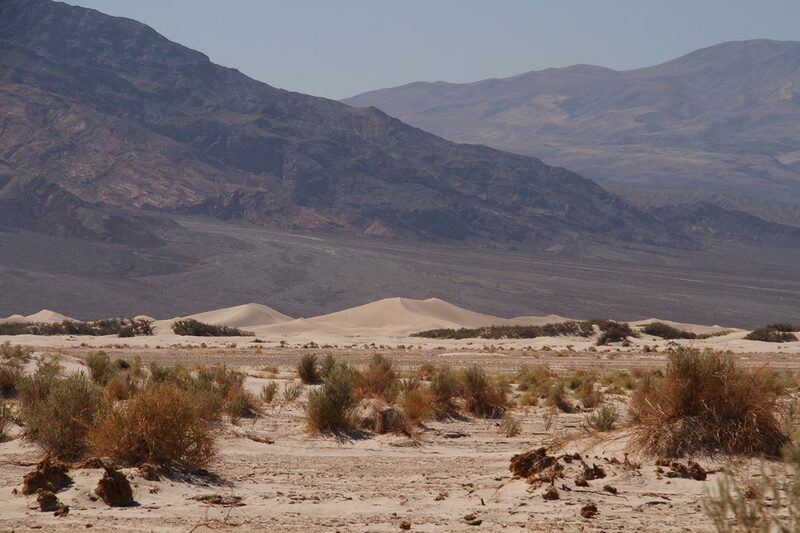 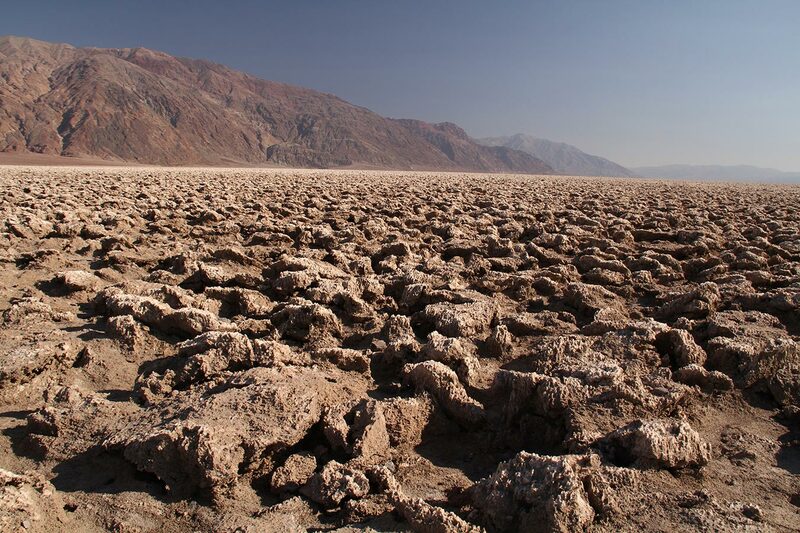 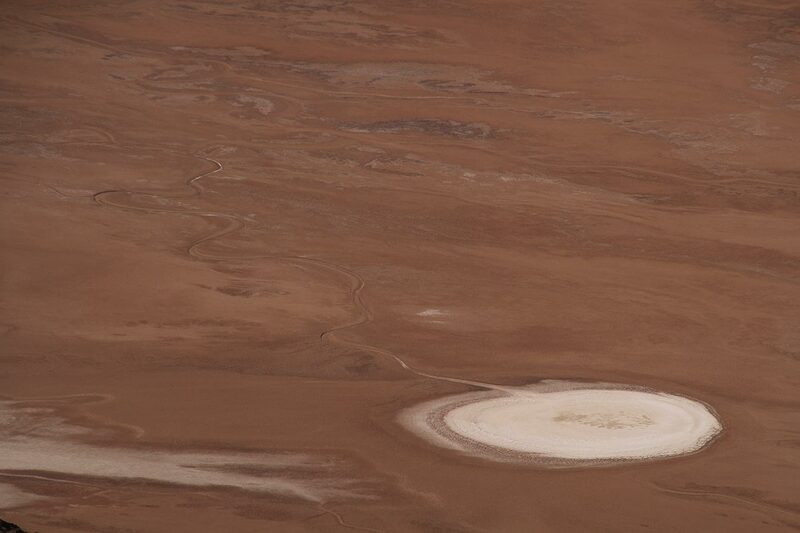 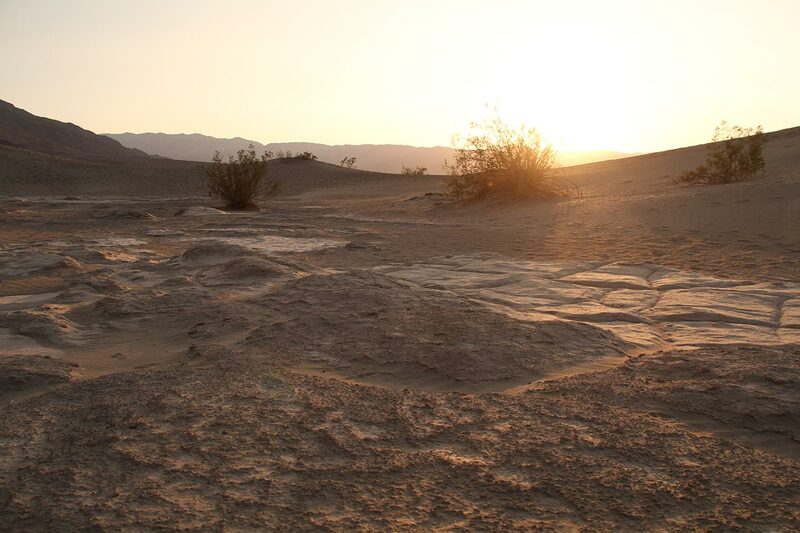 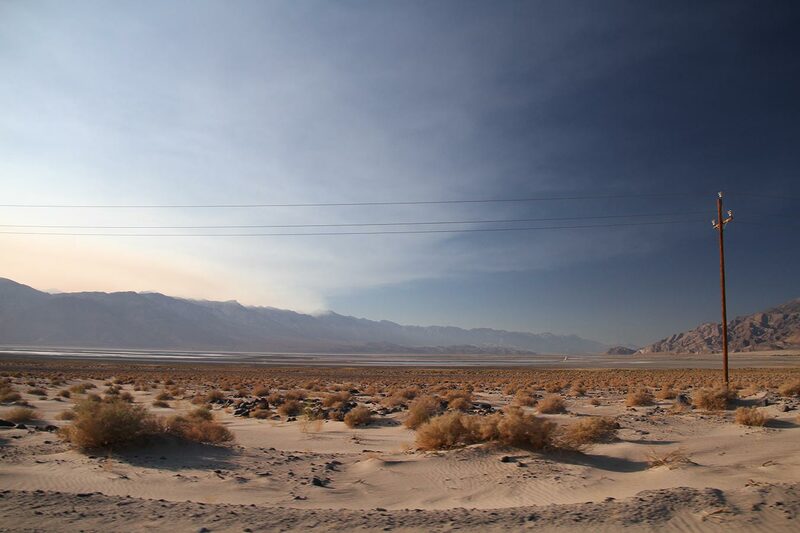 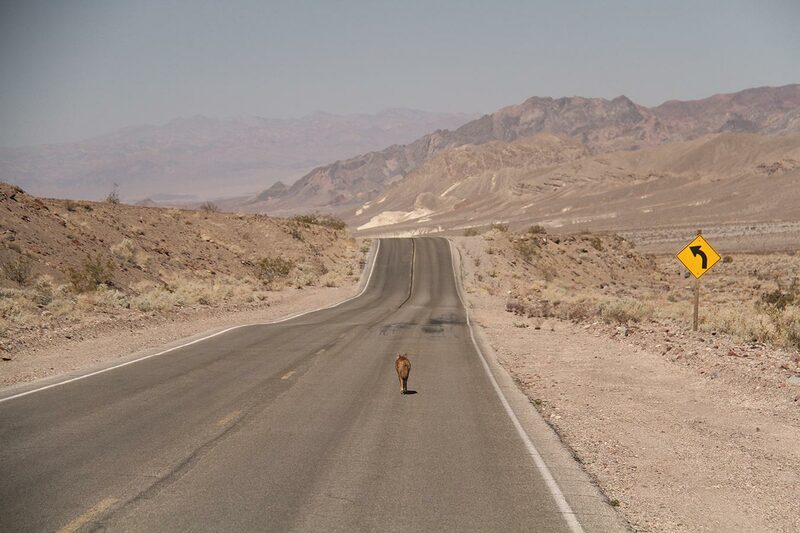 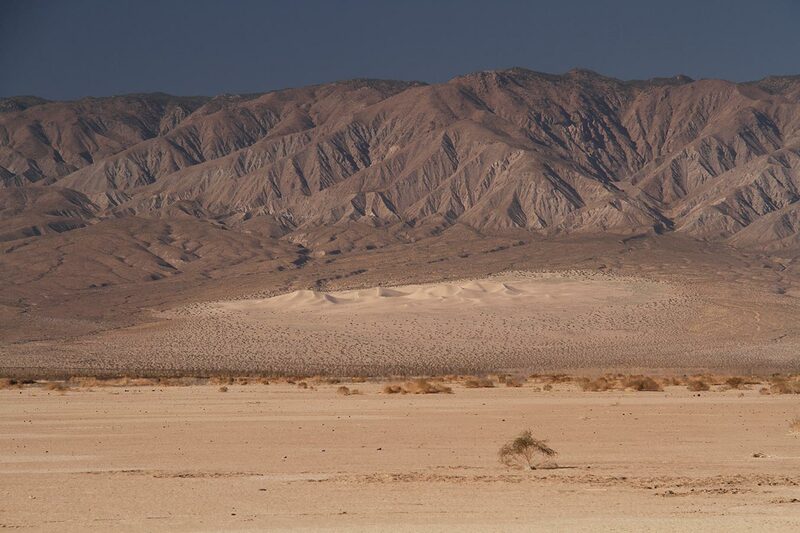 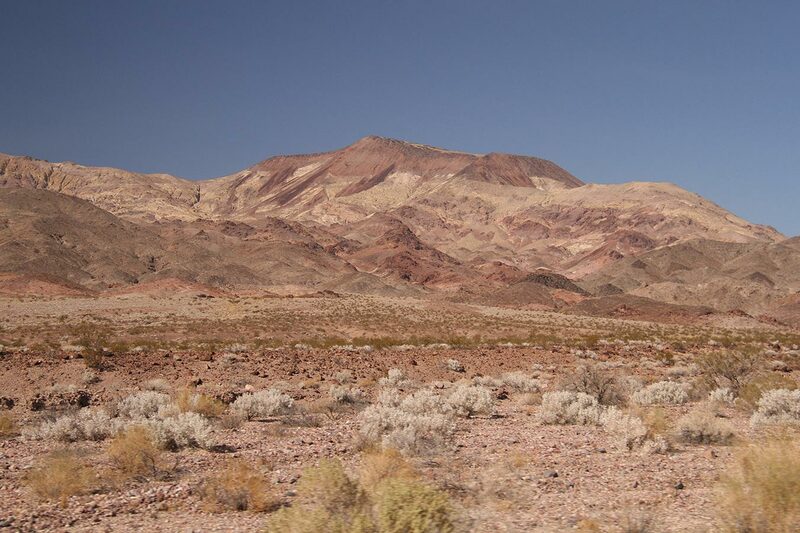 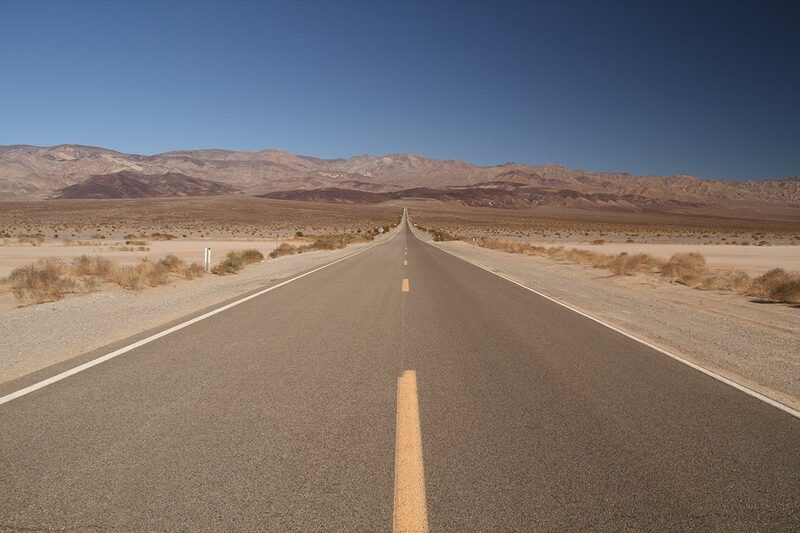 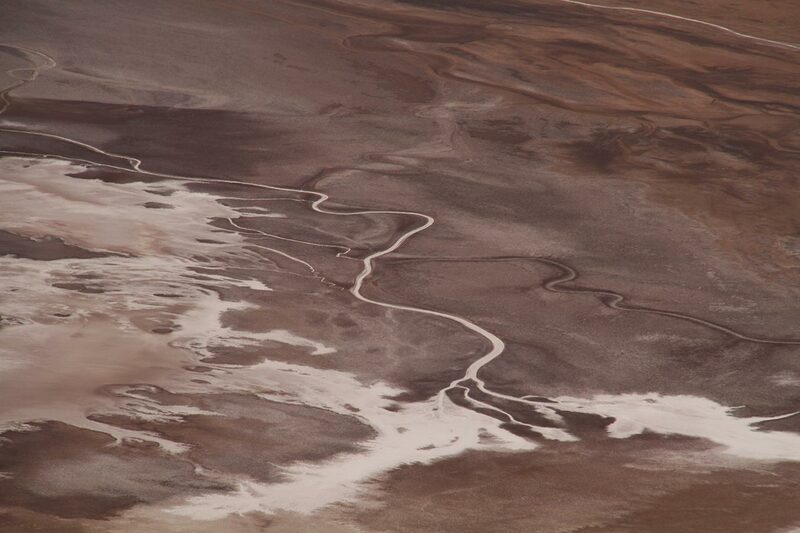 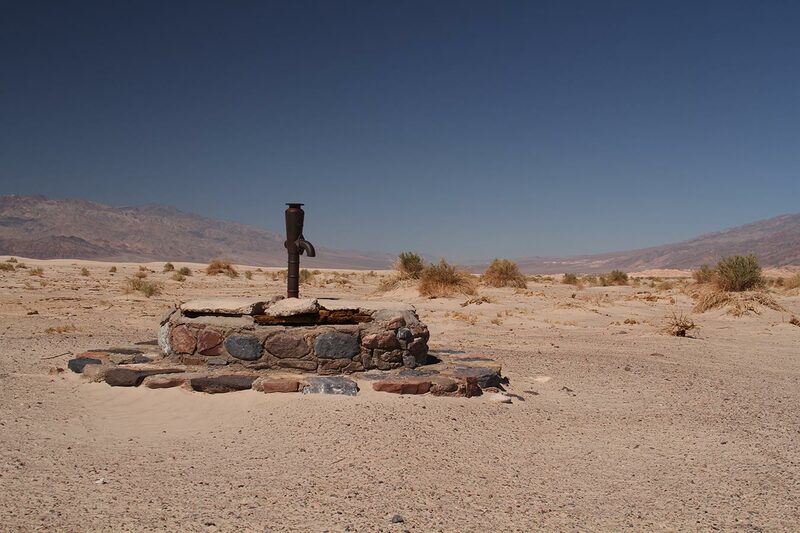 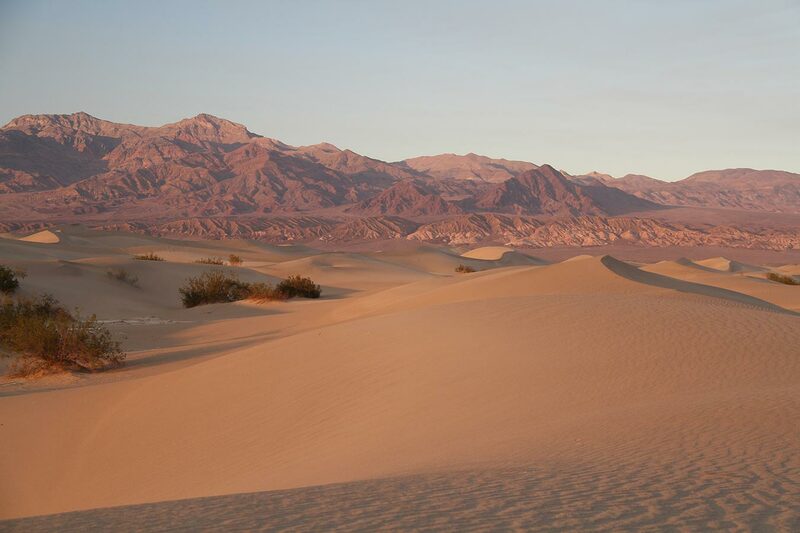 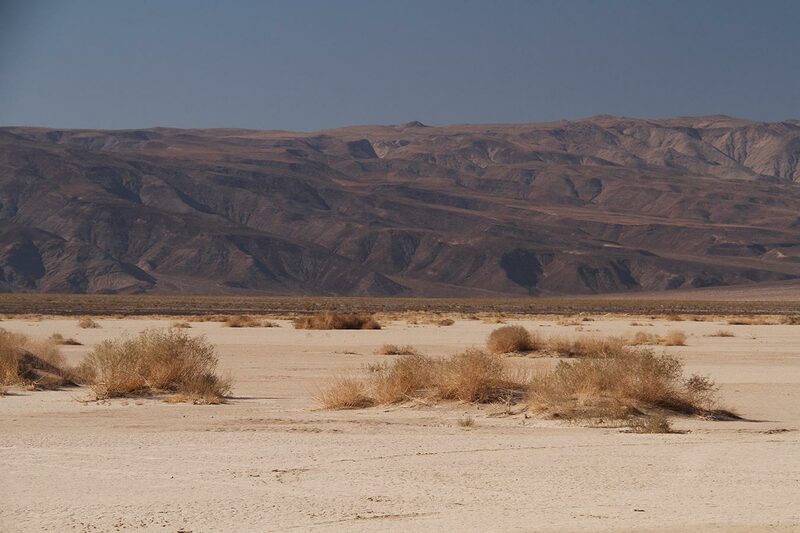 This is the lowest, hottest and driest place in the US. 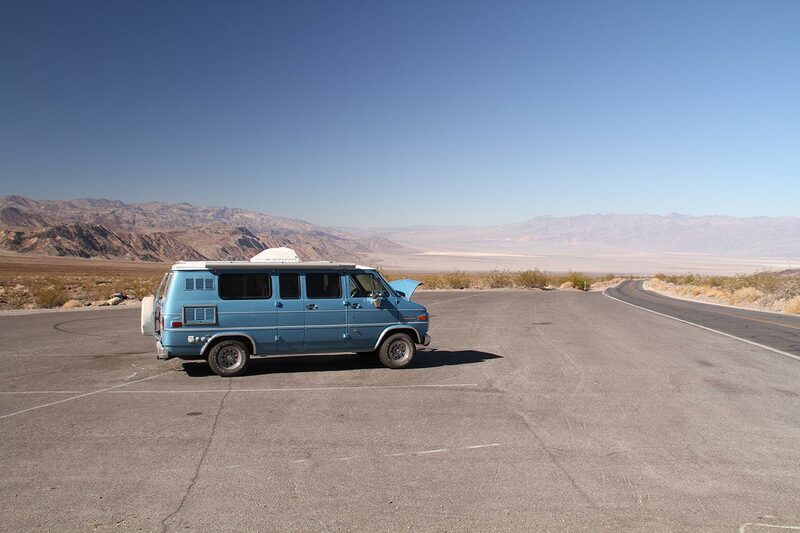 We slept in an abandoned RV park! 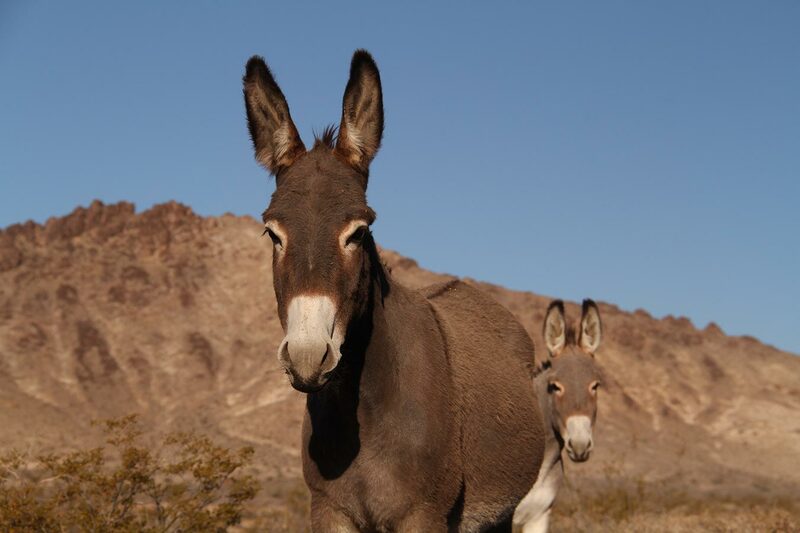 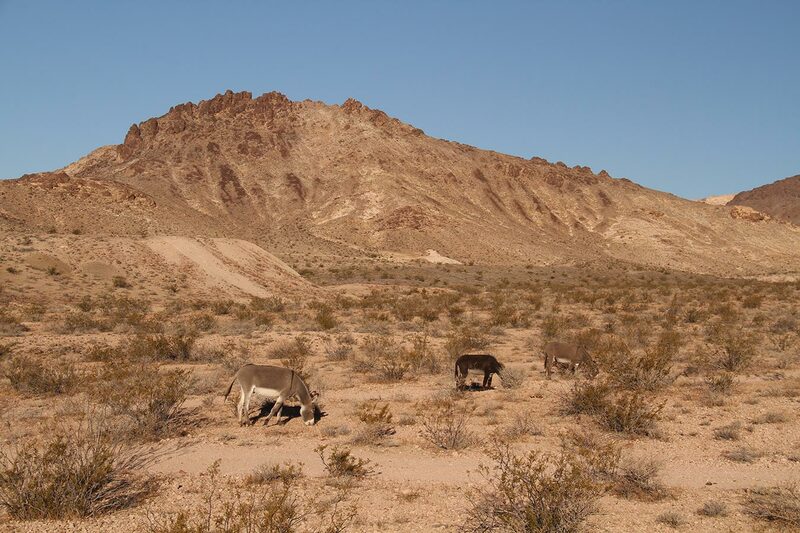 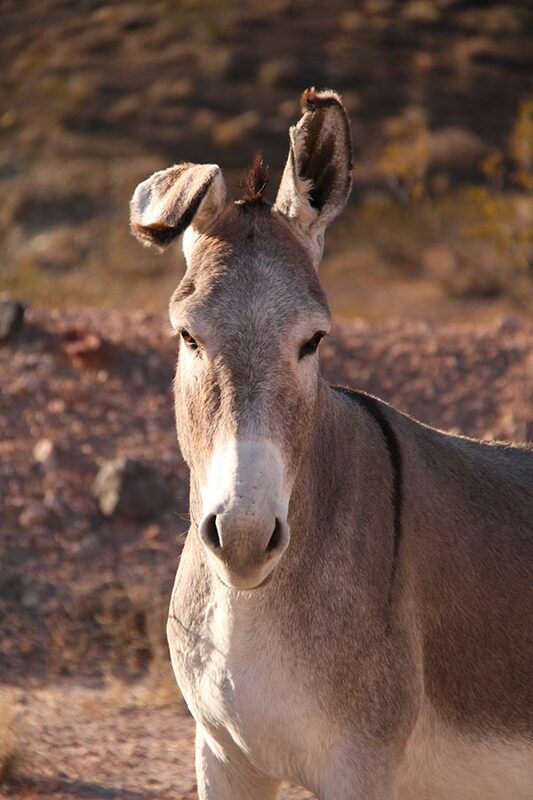 We slept in Nevada and woke up around wild donkeys!